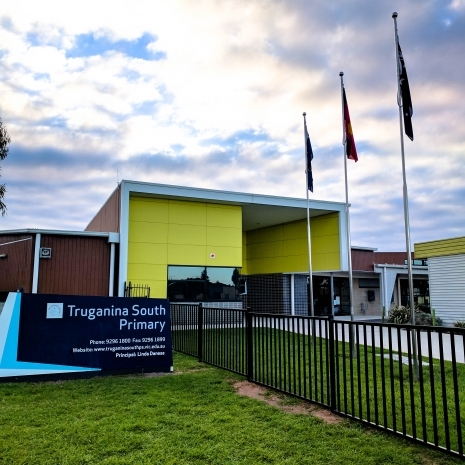 Truganina South Primary School is a P-6 school located on the corner of Parkvista Drive and Federation Boulevard, Truganina. 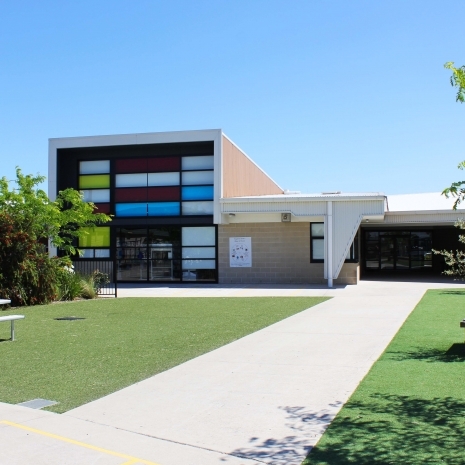 Built under the Public-Private Partnership (PPP) program, Truganina South Primary School is an excellent state of the art learning facility that brings together the best in contemporary educational design and promotes active student-centred learning through the creation of flexible, functional spaces. All teachers work in learning communities to create flexible teaching options in classrooms and to better cater for the individual needs of all students. The school upholds high expectations of all and provides an exciting and inclusive experience for staff, students and families. At Truganina South Primary School the child is at the centre and purpose of all that we do. Our teachers and support staff work hard to provide a teaching pedagogy reflective of 21st Century designs including ICT rich environments and Personalised Learning for all students. This innovative, rich and rigorous curriculum is delivered in a positive, stimulating and challenging learning environment where every child experiences success and develops a love of life-long learning. Our students are encouraged to explore their world through inquiry learning to become thinking, informed, resilient and self directed learners who are able to be the best they can be and contribute actively to their community. The key components of the teaching programs at Truganina South Primary School are the effective teaching of literacy and numeracy. Our State of the art buildings and modern relocatables house ten communities, all named after gems. There are 10 communities currently where teams of teachers work together to plan and teach a comprehensive curriculum and to provide rich learning environments for all students. 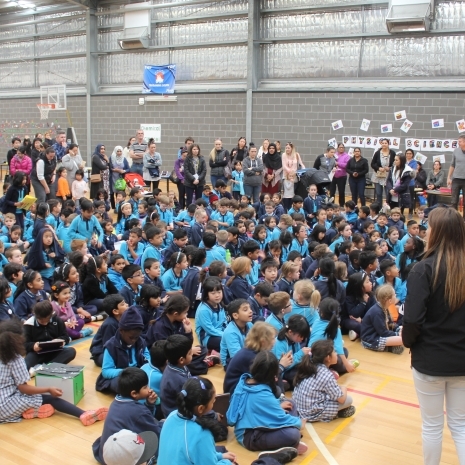 Other spaces are utilised to support programs such as Performing Arts, Visual Arts, Science and Multi Media and our Gymnasium hosts not only a comprehensive PE program but is utilised by the wider school community for a range of sporting clubs and activities. Our programs are supported by contemporary resources and the latest research on teaching and learning. 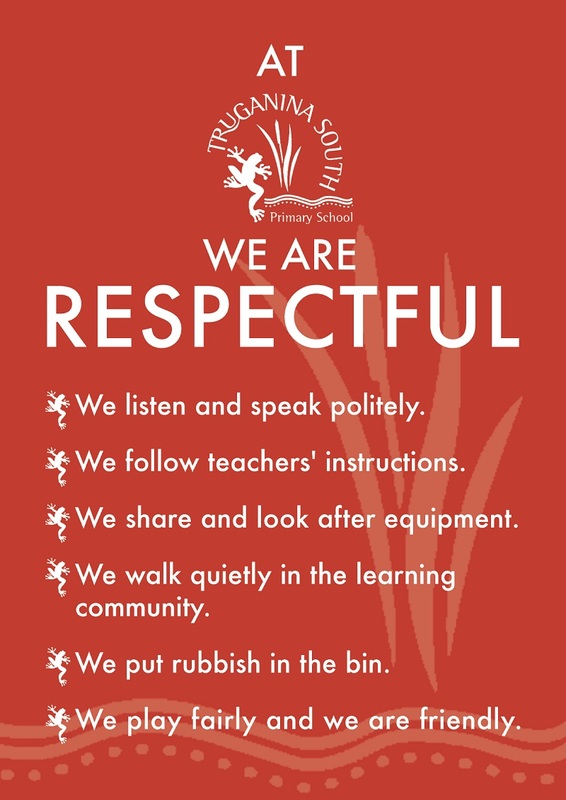 The curriculum at Truganina South is developed using an inquiry approach, where students are encouraged to take an active role in investigating and responding to areas of personal interest. The Victorian Curriculum forms the basis for teacher planning and curriculum implementation, based on interwoven strands of Disciplinary Learning, Interdisciplinary Learning and Physical, Personal and Social Learning. Specialist programs offered include Health and Physical Education, Visual Arts, Multimedia, and Science. The school structure is organised around the stages of schooling. The Early Years caters for the learning and developmental needs of students in Prep to Grade 4 and is based on the principles of foundational learning. The students of Grade 5 and 6 are part of the Middle Years of schooling with close links being forged with the local secondary schools. The Middle Years focuses on the needs of the emerging adolescent and independent learning. Grades are arranged in straight Preps and multi-age grades for years 1/2, 3/4 and 4/5/6. 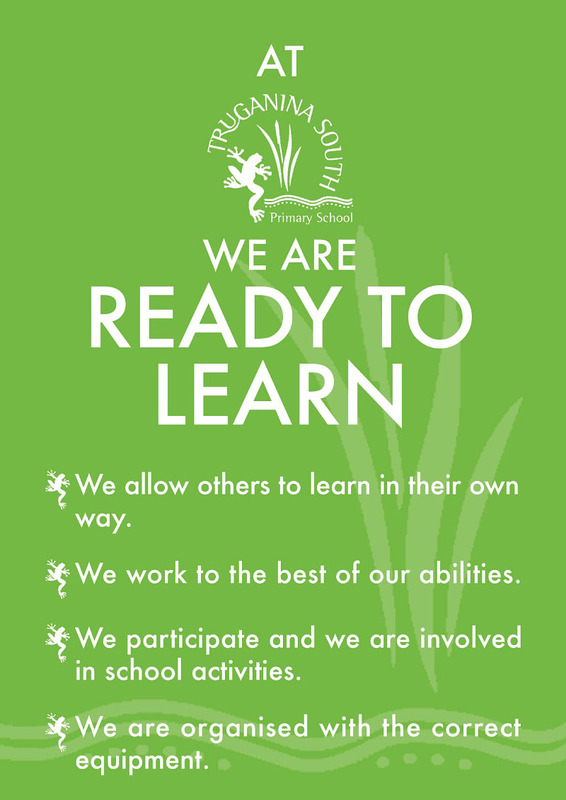 The school is committed to providing a range of learning experiences for your child. The current structure allows teachers to cater for a range of students, learning styles and individual needs, whilst encouraging peer interaction. The school has a focus on environmental sustainability and students participate in an innovative intensive environmental education program. 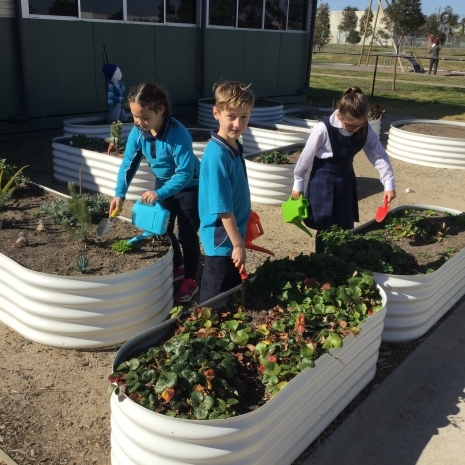 Our school is recognised as a leading example of ecological sustainability as part of the Resource Smart School initiative. Our “Frog Bog” provides an interesting stimulus for linking the teaching of environmental sustainability with a practical application. 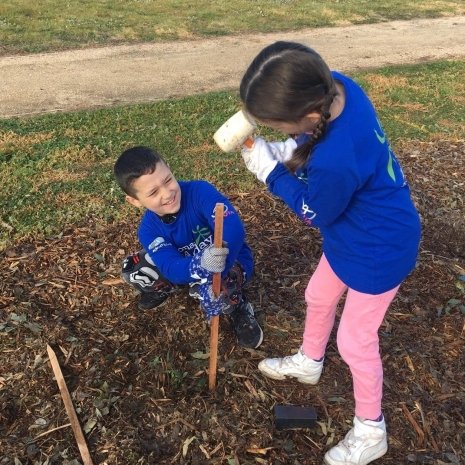 The School's Student Leadership program at Truganina South provides students from all year levels with leadership training and skill development, and there are many opportunities to experience positions of responsibility. Our students relish the opportunity to make decisions, take on roles and tasks that have positive impact and gives them a sense of ownership when making decisions that influence the direction of that the school takes. 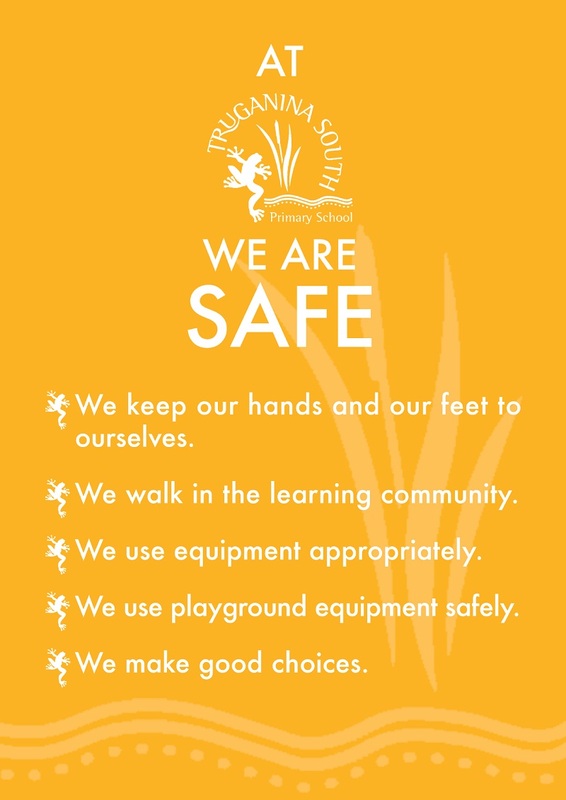 The wellbeing of our students and staff is of the utmost importance to us. The high calibre Student Wellbeing team, which consists of a speech therapist, a School Wide Positive Behaviours team made up of assistant principal and teachers ESO- Integration aides and DET SSSO staff provides support and guidance for our students, staff and families. The relationship between the staff, students and parents is a fundamental strength at Truganina South Primary School. The school enjoys formidable Community involvement. Parent involvement and participation in a variety of school activities is a significant feature of our school life and is actively encouraged and greatly valued. At Truganina South we conduct Parent Information nights focusing upon on how to best support our students with their learning at home. There is a common community interest to work towards the provision of quality education for students at Truganina South. We strongly believe that working in partnership with the school community is essential to successful educational outcomes. Our ambition is to strengthen our partnership with the YMCA and Arndell Park Community Centre to forge the development of the Community Hub that with fly under the banner of "Let's Connect". this Community hub will provide a number of services and programs to support our multiculturally diverse community. We will also continue our links with the Shire of Wyndham, local kindergartens and school within our network to further strengthen our community connections. • Continuously improve the Learning and Teaching throughout the school. • Provide high quality Personalised Curriculum programs to develop the ‘whole’ child, promote self confidence and provide a conduit for student connectedness to school. • Provide the best possible social, emotional and educational outcomes for each and every student. • Increase the literacy and numeracy levels of each and every child. • Form a strong connection with all students. • Strategically build the capacity of all staff. • Build the leadership capacity throughout the school. • Form strong partnership with the school community. • Form new partnerships with the wider community. • Provide a high level of student welfare support and positive behaviours. Developing strong realationships with all community members. I will speak positively to others. I will listen to others and accept what they have to say. I will support others in need. I will include others and embrace their contributions. I will work hard to achieve my goals. I will strive to continually improve. I will show compassion towards others. I will have a positive attitude to everyone. I will work cooperatively with all members of the community. I will value the contributions of others. I will provide constructive feedback to other people within our community. Being honest with the people within our community. I will provide contructive feedbackto other people within our community.